This past June I had the opportunity to spend four weeks as artist in residence at Elsewhere Studios in Paonia, Colorado. I arrived to Elsewhere June 1st after a 26-hour drive from Tallahassee, Florida. While the majority of the drive across the southern states and diagonal across Texas was a non-stop trek, I did take the opportunity to stop several places of interest including Cadillac Ranch and Great Sand Dunes National Park. Elsewhere is a shared studio and living space in what was formerly the town hydroelectric power plant. The building has been systematically transformed over the last 10 years into what is now a whimsical and enchanting hub of artist activity nestled in the heart of what is known as the “valley of abundance.” Located on the Western Slope of the Colorado Rockies, Paonia sits along the formidable Gunnison River. The river feeds numerous farms that grow cherries, apricots, apples, peaches, and even grapes used to supply a half dozen local boutique wineries. Cradling the valley on three sides you have Grand Mesa National Forest (N), McClure Pass toward White River National Forest (E), Gunnison National Forest (S), and the soft slope of the open range as it heads off toward the Utah border (W). 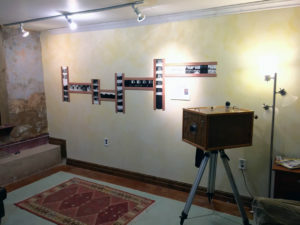 My application included a project proposal focused on photographic documentation using a home built Afghan box camera, and while broad in focus, the idea was specifically flexible. 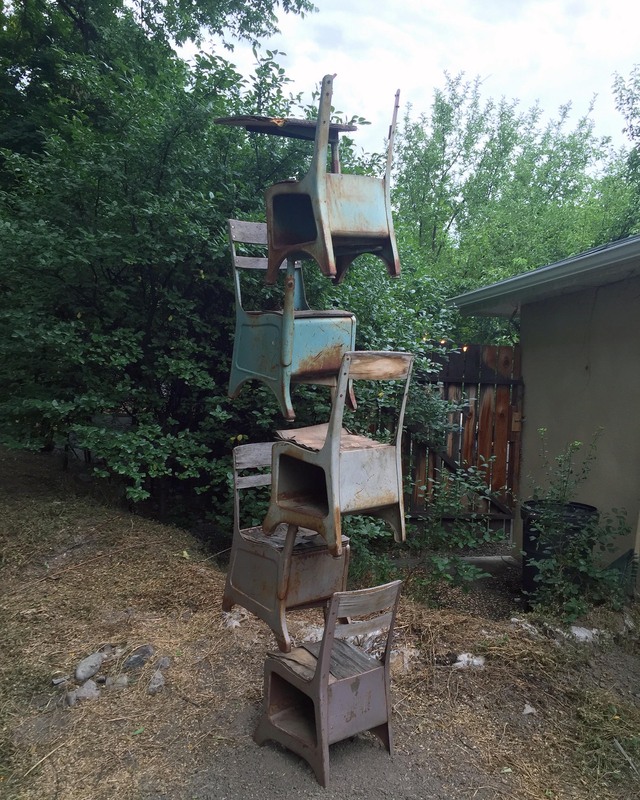 I also proposed a site-specific sculpture, responding to the building, grounds, and time spent at Elsewhere. Once I arrived and settled into what would be my home for the next 4 weeks, I began to explore the area and these ideas in greater detail. One block over is Main Street, four blocks with two stop signs, you’ll find the coffee shop, the theater, the pizza place, the hardware store, the post office, and the small locally surviving grocery store, Don’s Market. Oh, and the local brewery with its hoppy IPA and fresh donuts weekday mornings. Here, life slows down a little, kinship grows large, and the sun shines a bit longer. You’ll find an answer to every question and a helping hand for any task. It’s pretty easy to feel welcomed and right at home quickly. Over the next four weeks I traveled and explored the area in greater detail. Starting from Elsewhere I expanded out to find an unfathomable canyon, a dilapidated frontier outpost, a yacht club (of which I am now a member). I observed a blood moonrise from a covered wagon, found a “lost” lake, was chased down the Colorado River by a thunderous rolling storm, and crossed paths with a wolf. I spent an evening conversing broken English around a campfire with three French Nationals, total strangers, in Canyonlands National Park wrapped in a Milky Way sky. With my camera in tow I took time to document moments in time. Exposing light to paper, paper to fluid, fluid to air. Expose, transform, create… Respond. While the photographs were my primary focus, I was also able to create two sculptures (one a permanent installation) on the grounds of Elsewhere. Both objects were made from materials sourced from the property and both were concentrations on form and balance. The first was a 10’ stacked stone structure that mimicked and blended with the surrounding landscape. Viewing the piece from different vantage points changes the overall form. The second was an alternating pillar consisting of five 50’s era steel school desks, the Crusader model, of the American Desk Co. The representative accumulation of knowledge was inspired in part by my recent graduation and my mother’s retirement after 35 years as an educator (she’s eager to bend your ear of the current problems the education system faces). The month concluded with a show and I left Elsewhere fulfilled although wishing my time included another month. The exposure to new people and places, the friends made and time spent with fellow residents was indelible to say the least. I would highly recommend this residency to any artist looking to find the time and place to switch gears, step back, and be allowed to find focus with the things that interest them the most. Thank you to the staff and fellow residents at Elsewhere. A supportive foundation is the only way to build anything stable. Additionally I would like to recognize the extraordinary support given by the FSU Department of Art and the Exceptional Opportunity Award. I encourage all students in the department to apply and utilize this fantastic resource. You never know what adventure you will make.